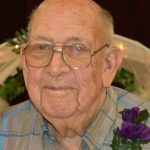 Born June 11, 1919 in Waterloo, IA and died February 7, 2018 in Cedar Falls, IA. 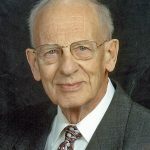 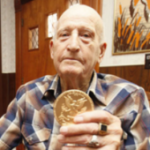 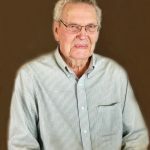 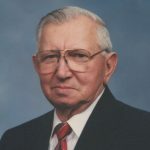 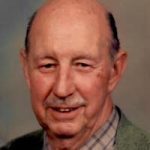 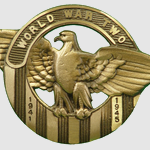 Bruce M. Smith joined the United States Army September 11, 1941 in Fort Des Moines, IA, served during the World War II era and reached the rank of Technical Sergeant before being discharged February 16, 1947 in El Paso, TX. 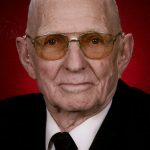 Born July 22, 1925 in Horton, IA and died October 26, 2017 in Sumner, IA. 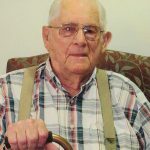 Sandie Robert Cooper joined the United States Navy September 26, 1943 in , served during the World War II era and reached the rank of Electrician's Mate Third Class before being discharged January 14, 1946 in Minneapolis, MN.